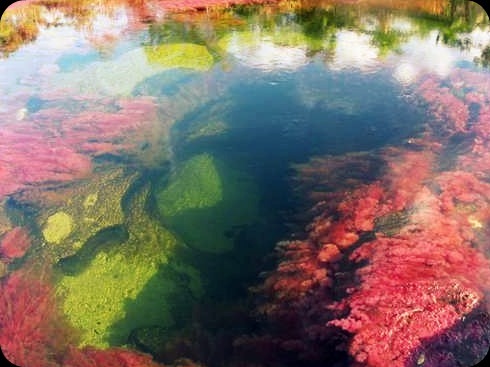 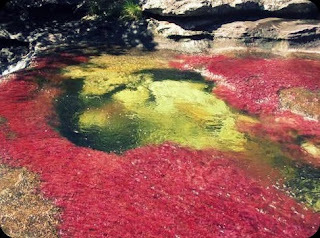 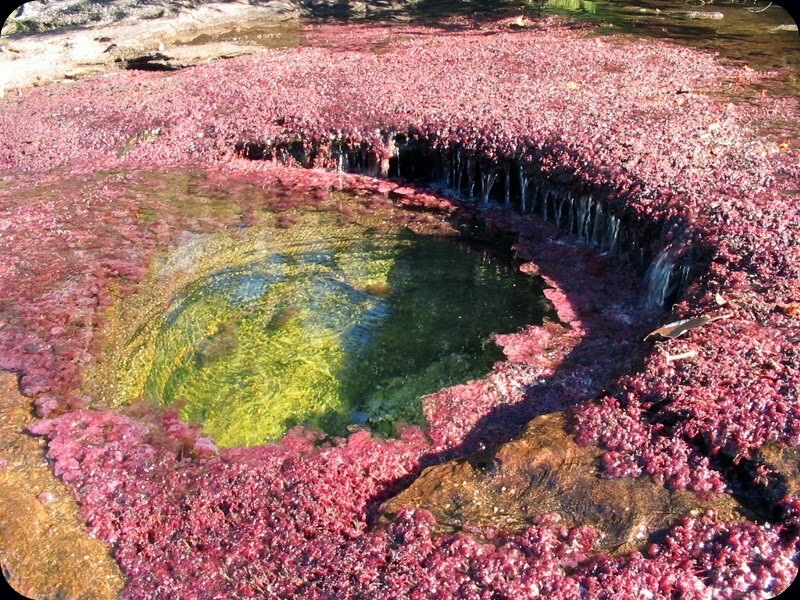 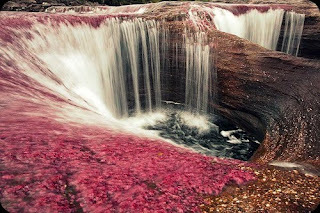 A unique biological wonder, Caño Cristales has been referred as the "river of five colors," "the river that ran away from paradise," and "the most beautiful river in the world." 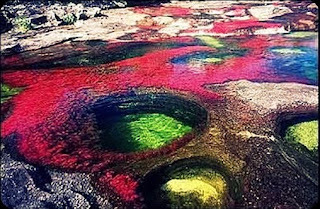 Once a year, the algae that grows on the rock-bed bottom of the Rio Caño Cristales blooms in neon shades of red, yellow, blue, green and black allowing the river to transform into a veritable living rainbow. The site was effectively closed to tourists for several years because of guerrilla activity in the region along with concerns about the impact of unregulated tourist traffic. 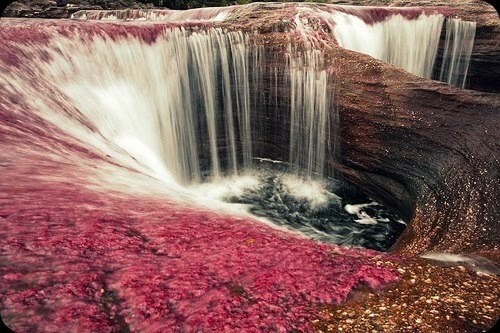 It was reopened to visitors in 2009, and today there are several Colombian Tourist Agencies that will fly travelers to La Macarena. From there, they must make their way to the river site on horseback (or donkeyback) and by foot as part of a guided tour.